monday night while owner was dornando his business for day of anthem y flag, of ripiente owing to hear one bloki happen by of the glass y they owing to look at two sospechoso is try look at inside. hour the ladronnan ey owing to look at cu have person inside they owing to core bay, police owing to being avisa y owing to base of descripcion achieve, police owing to throw one view in the becindario, but not owing to achieve the two anti-socialnan here. diarazon night, 10or police bayendo for asistencia at height of united dinner for some young cu is haci fastioso, is come across one car centra grey coriendo cu velocidad high in venezuelastraat y owing to bay direccion of driemasterstraat, without give pit, cu can some owing to cause one accidente. at instant cu the chofer owing to see police, past owing to aumenta velocidad y owing to happen in light cora, y owing to bay cu velocidad high in direccion of paradijswijk. owing to start one persecucion in various caya. at the cruzada flacciusstraat/weststraat, the chofer owing to stop the car y descend y core enter in scuridad. 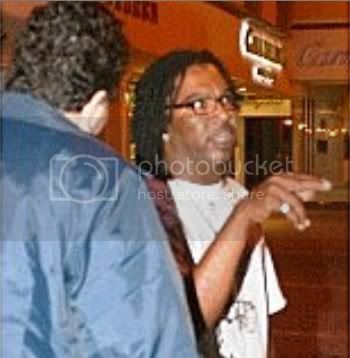 testigonan owing to tell police cu the sospechoso owing to bay bek in direccion of united dinner. 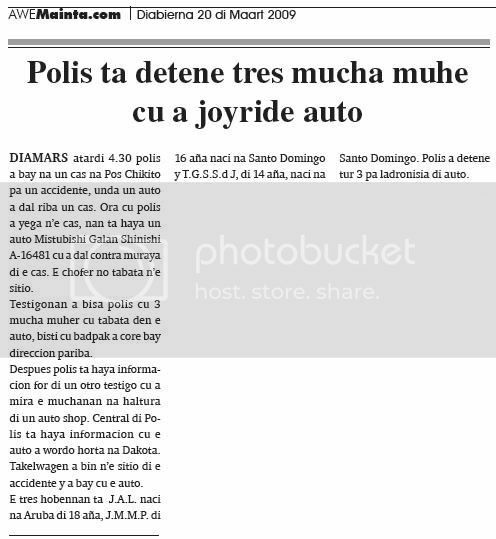 eynan police owing to come across cu the conocido d.e.de la c. j., conoci of police, naci at sand domingo of 22 year, sit in one car cu was stop on caminda. 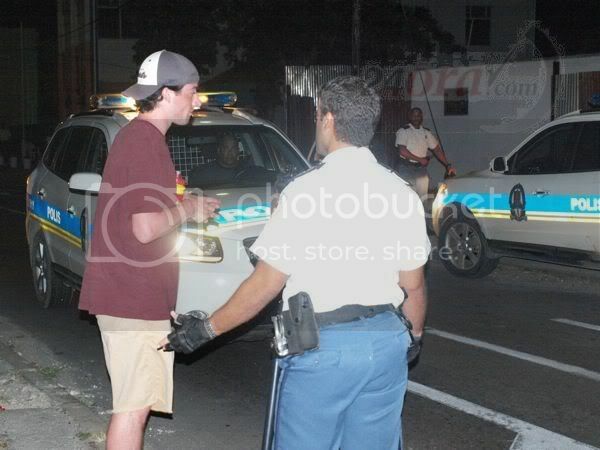 while cu police was talk cu the sospechoso, one person owing to throw boter on the police. police owing to bay busca refuerso y during cu the was bayendo, he de la c.j. owing to send one boter y owing to break windshield of the car of police. police owing to bay bek y owing to detene de la c., that t’esun cu owing to throw the boter. past owing to stay deteni y take away keep of beach. 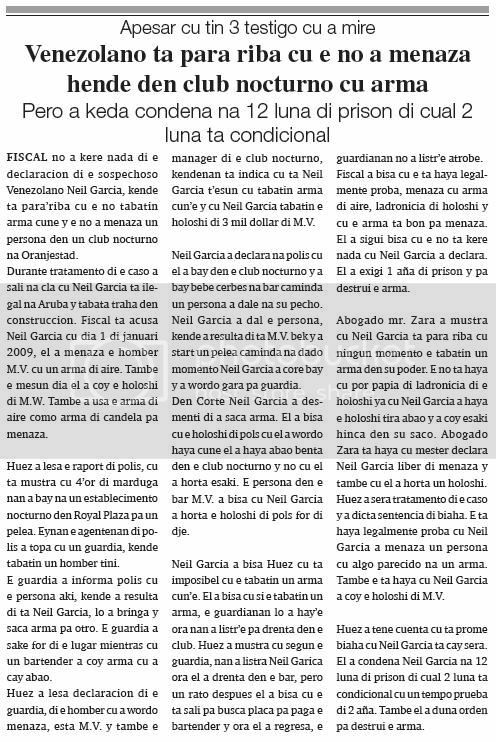 fiscal not owing to believe nothing of the declaracion of the sospechoso venezolano neil garcia, that is para’riba cu the not had arm cune y the not owing to menaza one person in one club nocturno at oranjestad. during tratamento of the caso owing to leave at cla cu neil garcia is ilegal at aruba y was work in construccion. fiscal is acusa neil garcia cu day 1 of january 2009, past owing to menaza he m.v. cu one arm of air. also the same day past owing to coy the holoshi of m.w. also owing to using the arm of air because; arm of candela for menaza. huez owing to read the raport of police, cu is show cu 4’or of marduga they owing to bay at one establecimento nocturno in royal plaza for one action. eynan the agentenan of police owing to come across cu one guardia, that had one man own. the guardia owing to informa police cu the person here, that owing to resulta of is neil garcia, will owing to fight y saca arm for another. the guardia owing to sake for of the lugar while cu one bartender owing to coy arm cu owing to cay abao. huez owing to read declaracion of the guardia, of he cu owing to wordo menaza, esta m.v. y also the manager of the club nocturno, kendenan is indica cu is neil garcia t’esun cu had arm cun’e y cu neil garcia had the holoshi of 3 thousand dollar of m.v. neil garcia owing to declara at police cu past owing to bay in the club nocturno y owing to bay drink beer at bar caminda one person owing to dale at his pecho. neil garcia owing to strike the person, that owing to resulta of is m.v. bek y owing to start one action caminda at dado instant neil garcia owing to core bay y owing to wordo grab for guardia. in corte neil garcia owing to desmenti of owing to saca arm. past owing to tell cu the holoshi of pols cu past owing to wordo achieve cune past owing to achieve abao throw in the club nocturno y not cu past owing to steal this. the person in the bar m.v. owing to tell cu neil garcia owing to steal the holoshi of pols for of dje. neil garcia owing to tell huez cu is impossible cu the had one arm cun’e. past owing to tell cu if the had one arm, the guardianan will owing to hay’e hour they owing to listr’e for enter in the club. huez owing to show cu according the guardia, they owing to listra neil garica hour past owing to enter in the bar, but one rato after past owing to tell cu the is leave for busca coin for pay the bartender y hour past owing to return, the guardianan not owing to listr’e again. fiscal owing to tell cu the is achieve legalmente prove, menaza cu arm of air, ladronicia of holoshi y cu the arm is good for menaza. past owing to follow tell cu the do not believe nothing cu neil garcia owing to declara. past owing to exigi 1 year of jail y for destrui the arm. advocate mr. zara owing to show cu neil garcia is stop on cu none instant the had one arm in his power. the do not achieve cu can talk of ladronicia of the holoshi already cu neil garcia owing to achieve the holoshi throw abao y owing to coy this hinca in his saco. advocate zara is achieve cu have to declara neil garcia pound of menaza y also cu past owing to steal one holoshi. huez owing to close tratamento of the caso y owing to dicta sentencia of trip. the is achieve legalmente prove cu neil garcia owing to menaza one person cu algo parecido at one arm. also the is achieve cu neil garcia owing to coy the holoshi of m.v. huez owing to as cuenta cu is first trip cu neil garcia is cay close. past owing to condena neil garcia at 12 month of jail of cual 2 month is condicional cu one time proof of 2 year. also past owing to give orden for destrui the arm. police of san nicolas, mirando the problem cu the habitantenan of pos diminutive is enfrenta cu choler is follow controla near of the snackbarnan. diarazon madruga, police owing to happen near of one snackbar y is come across cu the conoci of they joyo, j.l. of 42 year y is core cune. while cu police was papiando cu joyo, the owner of the snackbar is calling police y is tell they cu joyo owing to end of menase cu one machete, hour cu past owing to core cune for of the lugar, by cu the is molestia the clientenan. at once police owing to bay behind joyo y owing to listra at his curpa. in his carson at his back, police owing to achieve one machete of 56 cm. police owing to less the machete for of dje y owing to detene y hibe keep of san nicolas, at where past owing to achieve one cuarto free. the owner of the snackbar is bay haci denuncia contra dje. tuesday nightfall 4.30 police owing to bay at one cas at pos diminutive for one accidente, where one car owing to strike on one cas. hour cu police owing to arrive n’e cas, they're achieve one car mistubishi galan grey a-16481 cu owing to strike contra wall of the cas. the chofer not was n’e sitio. testigonan owing to tell police cu 3 child muher cu was in the car, dress cu badpak owing to core bay direccion east. after police is achieve informacion for of one another witness cu owing to see the children at height of one car shop. 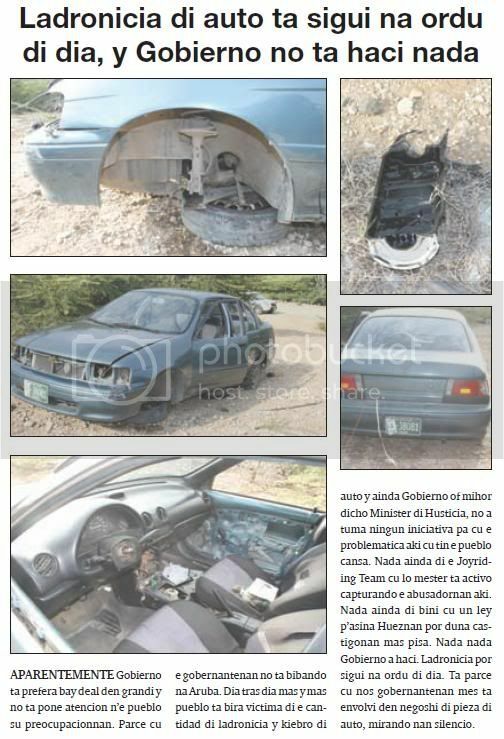 central of police is achieve informacion cu the car owing to wordo steal at dakota. takelwagen owing to come n’e sitio of the accidente y owing to bay cu the car. the three hobennan is j.a.l. naci at aruba of 18 year, j.m.m.p. of 16 year naci at sand domingo y t.g.s.s.d j, of 14 year, naci at sand domingo. police owing to detene all 3 for ladronisia of car. 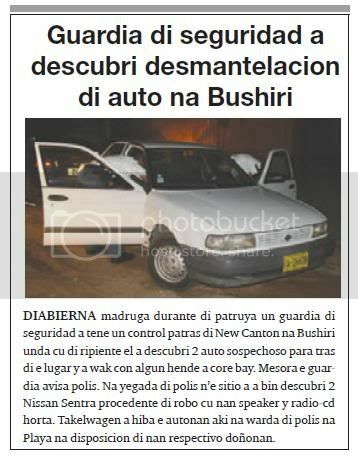 tuesday madruga police of oranjestad is bay at one cas in boliviastraat, where the owner of one car owing to achieve one thief is steal in his car. hour cu police owing to arrive n’e sitio, they're talk cu he therefore. y the is tell cu his neighbour owing to lante for of dream y owing to bise cu have one person is steal in his car. past owing to grab he cu is d.l.t y owing to entregue at police, cu owing to detene y hibe keep of beach. after cu awemainta owing to give publicacion n’e photograph yesterday afternoon, various patrol policial owing to place hand on the fugitivo fradl we not know if is because yesterday awemainta owing to dicidi of publica photograph of the sospechoso of atracador of several taxista, peter schtolser fradl, that owing to achieve one permission of ministerio publico for is present at his partner, hour of give luz, y owing to abusa of the confianza brinda, y owing to stay without go back kia, polisnan was more attentive y owing to cuminsa busk’e. polisnan attentive, y although some angry, cu one recidista of the waist here, is achieve permission of ministerio publico, for they haci the trabao of busca the person here. 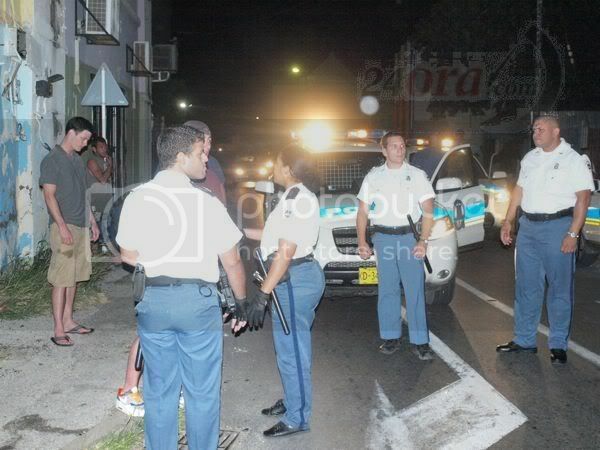 after cu police owing to señal’e in cayanan in centro of oranjestad, owing to cuminsa one persecusion serious, cu owing to come end at de la salle college. peter fradl owing to stay señala in one honda civic y after of owing to happen in several district, polisnan cu was very attentive owing to dicidi of place hand on dje, although cu past owing to resisti his detencion formalmente. had informacion cu the can is arm, but esey we not can owing to saca afo. past owing to happen yesterday evening again in kia y can will soon the will not achieve none permission for leave more, till day cu his caso stay deal in corte. apparently gobierno is prefera bay deal in big y do not place atencion n’e people his preocupacionnan. 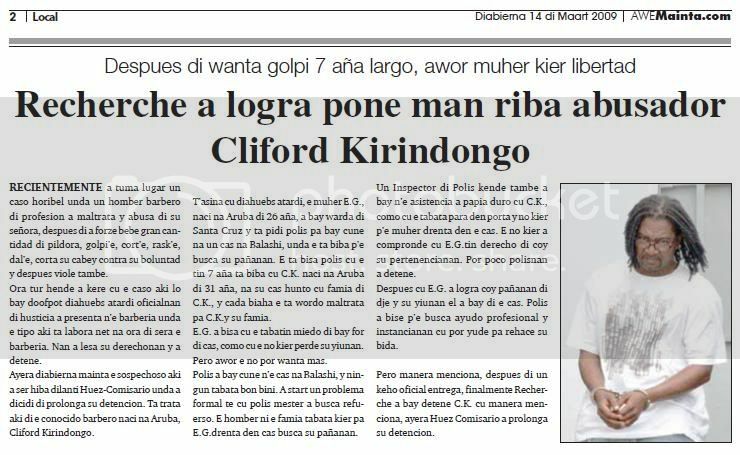 seems cu the gobernantenan do not bibando at aruba. day slow day more y more people is become victima of the cantidad of ladronicia y kiebro of car y still gobierno or mihor dicho minister of husticia, not did take none iniciativa for cu the problematica here cu have the people cansa. nothing still of the joyriding team cu will have to is activo capturando the abusadornan here. nothing still of come cu one ley p’asina hueznan can give castigonan more pisa. nothing nothing gobierno owing to haci. ladronicia can follow at ordu of day. is seems cu we gobernantenan self is envolvi in business of pieza of car, mirando they silencio. diabierna madruga during of patrol one guardia of seguridad owing to as one control behind new canton at bushiri where cu of ripiente past owing to descubri 2 car sospechoso stop behind the lugar y owing to look at con some person owing to core bay. at once the guardia avisa police. at arrival of police n’e sitio owing to on account of come descubri 2 nissan sentra procedente of abstraction cu they speaker y radio-cd steal. takelwagen owing to take away the autonan here at keep of police at beach at disposicion of they respectivo doñonan. yesterday madruga during patrol, 2 agent policial attentive owing to come achieve cu one nissan sentra let behind door open. tirando one view more of acerca is descubri cu have one of the bentananan of choler break, wire of speaker y amplifier is leave for of baul indicando cu the speakernan because; also the amplifier y the radio-cd owing to being steal. owing to ask for one takelwagen for take away the car at keep of police at beach for more investigacion. according can owing to compronde the car here is pertenece at a live at mabon. 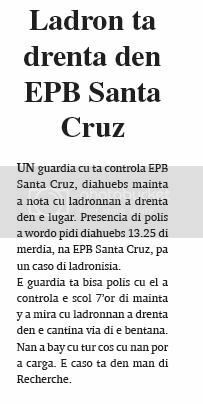 one guardia cu is controla epb santa cruz, diahuebs morning owing to notice cu ladronnan owing to enter in the lugar. presencia of police owing to wordo ask diahuebs 13.25 of afternoon, at epb santa cruz, for one caso of ladronisia. the guardia is tell police cu past owing to controla the scol 7’or of morning y owing to see cu ladronnan owing to enter in the cantina via of the window. they owing to bay cu all cos cu they can owing to carga. the caso is in hand of recherche. presencia of police owing to wordo ask cu urgencia n’e shelter of choler, ex hotel central, where two choler owing to agredi another cu tree. according informacion cu police owing to achieve at arrival one choler that not was more n’e sitio owing to strike the choler j.h. cu one tree. j.h. was bleed enough. ambulance owing to come n’e sitio y owing to transporte for poli for tratamento. recherche have owing to caso in investigacion. huez diabierna morning owing to bay of acuerdo cu the exigencia of fiscal for vivian arends micolta cuero y jose altamar pereira, kendenan day 3 october 2008 owing to wordo grab cu one bag cu 9 bloki of marihuana. during tratamento of the caso vivian owing to tell huez cu past owing to haci one please for his casa by of keep the drugs. despite cu jose altamar pereira owing to desmenti of had drugs, huez owing to confronte cu potretnan cu police owing to saca of dje together cu vivian near of one business at paradera. also owing to mustr’e of yamadanan telefonico among his person y vivian caminda claramente can conclui cu they was talk of drugs. police was vigila movecion of the pareha here y at paradijswijk after cu they owing to bay busca the drugs, owing to stop vivian arends micolta cuero in his car y owing to come achieve 9 bloki of marihuana in one bag. jose altamar pereira is stop on of not have nothing of haci cu caso of drugs. according jose altamar pereira the will have to owing to achieve 3200 for of vivian for let cumpra piesanan at colombia. huez owing to remarca cu jose altamar pereira owing to declara cu past owing to wordo calling for of one madam y cu they owing to word come across at paradera. according pereira the not was conoce vivian y cu vivian owing to bise cu for carlos the will have to give pereira coin. fiscal remarca cu owing to listen jose altamar pereira talk cu one such bolivar on the entrega of drugs y cu vivian arends micolta cuero owing to wordo deteni. according pereira never past owing to talk cu bolivar y cu is at keep of police at north past owing to conoce bolivar. fiscal is achieve vivian arends micolta cuero y jose altamar pereira responsible p’e 8.7 kilo of marihuana. past owing to tell cu day 30 january in one caso pro form huez owing to let they pound, because posiblemente they not will achieve more castigo cu they owing to sit end. past owing to exigi 9 month of jail of cual 3 month is condicional cu one time of proof of 2 year for vivian arends micolta cuero. still miss 67 day for bay end of sit, but fiscal will transforma this in 30 hour servicio comunitario. for jose altamar pereira the have to sit still 81 day, but converti this in 50 hour servicio comunitario. huez owing to tell cu the is close tratamento of the caso y is dicta sentencia of trip. past owing to tell cu the is confirma the exigencia of fiscal. the trio colombiano pedro murillo navas, jose potes buenaventura, hector crotes quinones diabierna afternoon ultimo owing to listen fiscal exigi 5 year of jail for cada one of they. they're wordo acusa of owing to importa 42 kilo of cocaina day 30 of september 2008. ryan varis was esun cu was maneha the pick up his caso not owing to follow diabierne ultimo on peticion of his advocate. huez owing to show cu murillo navas owing to declara cu together cu potes buenaventura owing to trece drugs y hinca this in pick up of varis y cu the drugs have to owing to wordo entrega at one such richard. according murillo navas the will owing to declara this bao menaza of police. murillo navas admiti cu varis owing to take away they arikok y cu they owing to bay busca two bulto. according murillo navas they owing to bay for busca ilegal, but owing to achieve the bultonan of drugs. varis also owing to declara cu past owing to wordo menaza for engineer caminda was sospech’e of owing to hit one lote of drugs cu will owing to arrive at june 2008. after of the intercepcion of drugs owing to as one razia at home of murillo navas caminda owing to achieve one lote of marihuana cual the was keep for one such richard. according murillo navas the package was good close y richard owing to bis’e for ward’e in frishidair. the package was contene 400 gram of marihuana. fiscal in his rekisitorio owing to tell cu owing to base of informacion ricibi, police owing to cuminsa investigacion. at june 2008 drugs owing to arrive ground y also curpa without life. sospecha cu the hendenan owing to fayece hour try trece drugs ground. at september 2008, rangers achieve tasnan cu pertenencianan y book cu numbernan of telephone. 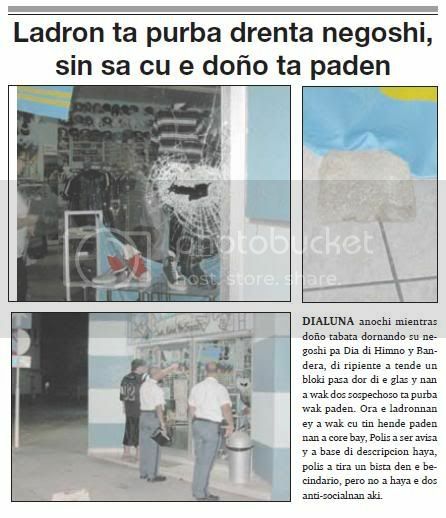 after resulta cu the bag was of murillos navas. in book had number of potes buenaventura y crotes quinones. so owing to come achieve one such ryan y one such pedro his number y owing to listen esakinan. police was observa movecionnan of ryan varis y pedro murillo navas y so owing to come intercepta the drugs. fiscal owing to exigi 5 year of jail for cada one. 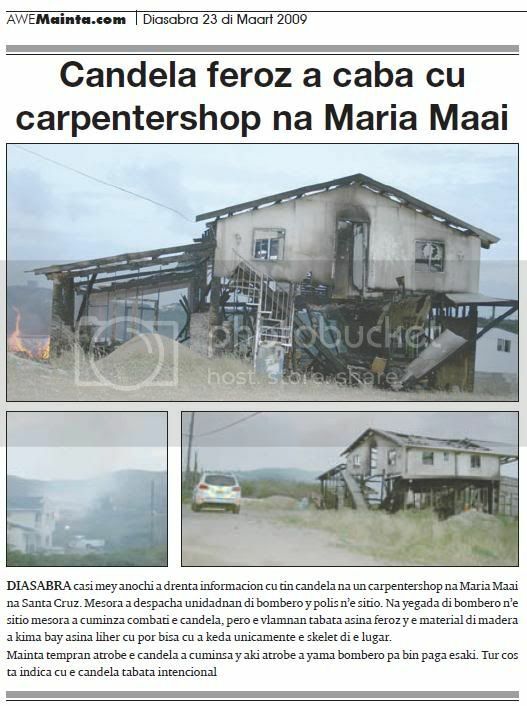 saturday casi mey night owing to enter informacion cu have candela at one carpentershop at maria maai at santa cruz. at once owing to despacha unidadnan of bombero y police n’e sitio. at arrival of bombero n’e sitio at once owing to cuminza combati the candela, but the vlamnan was so feroz y the material of madera owing to burn bay so liher cu can tell cu owing to stay unicamente the skelet of the lugar. morning early again the candela owing to cuminsa y here again owing to calling bombero for come pay this. all cos is indica cu the candela was intencional. diadomingo morning owing to enter informacion cu will have desmantelacion of one toyota yaris beige is tumando lugar in the mondinan behind koeriboeri. owing to send at once 2 patrol policial n’e sitio. at arrival of the first patrol owing to achieve informacion of some ciudadano cu in the mondinan ey slow, ladronnan is bezig is desmantela one car. the patruyanan owing to split y cu aid of bisiñanan owing to succeed see one of the sospechosonan is moviendo in the mondinan. they owing to follow his pasonan till hour cu past owing to leave cant’i caminda y owing to bay in his direccion where of trip past owing to being deteni. during cu the agentenan was boei the sospechoso, this owing to cuminza canta so police owing to succeed achieve name of all esnan cu was envolvi y owing to participa in the abstraction here. good trabao of police by of owing to reacciona rapidamente n’e call y the people cu owing to know of calling avisa of trip. the car self, was very deep hinca in forest. y if see con the car owing to stay desmantela, have to tell cu here is deal of ladronnan profesional. they have cu bay declara now, is that is they “clientenan” for cumpra all the partinan here. saturday morning one patrol policial of santa cruz owing to haye is take away one detenido cu urgencia for hospital. apparently here will is deal of one gulidor of bolita. as we achieve more informacion we will trece this for we lectornan. asistencia of police owing to wordo ask at one cas at macuarima naunda ladronnan owing to steal gasoline of they car. at the cas police is talk cu owner of the cas, keened is tell police cu the pair thief of gasoline, cu is father y child v.d b, is activo again in hortamento of gasoline for of car. polisnan is send one advertencia for all the barionan of santa cruz, for as precausion cu they car, y evita for they lose they gasoline. Page created in 1.713 seconds with 19 queries.